Romantic classical, hip-hop, and electronica combine is unusual ways on the new Composers Coincordance Records (004) release Cello Lounge. 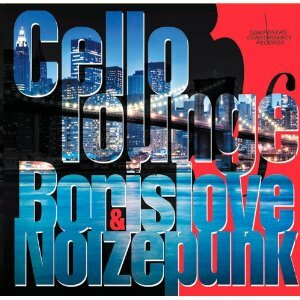 Here we have cellist Borislav Strulev and composer-instrumentalist Gene Pritsker under the nom de plume Borislove Noizepunk. 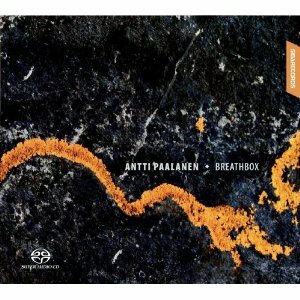 It is an album of collage, of beats, electronic manipulation, sampling, keyboard, guitar and the art of the cello. Gene presents extended and looped romantic-era melodics from well-known works (primarily with Boris's cello taking on those lines) along with what sounds like newly composed lines, all within the context of the sound of altered samples, electronic drum back-beats, and a kind of electronic orchestra. Boris adds written and/or improvised lines over the top as well. This sounds like a kind of hip-hop concerto for cello at times; other times it exudes the dynamic rock guitar of Gene's in tandem with the cello and electronica. 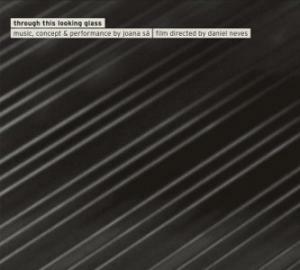 It is music of a piece, a music unified in an unexpected and unprecidented way. It will not be for everyone. But those who are willing to leave preconceptions behind will find a very stimulating program of music. Go on a different sort of trip with this one. You will find the ride both fun and musically rich. 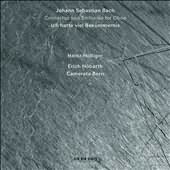 The prospect of Heinz Holliger playing Bach's Concertos and Sinfoniettas for Oboe (ECM New Series) sounded quite promising to me when I heard of its release. After listening a number of times I must say it fully lives up to my expectations. You get ECM's fully resonant acoustics and you get a fully consistent approach to the music, thanks to Holliger's ravishing tone and execution and the sweetly sonorous Camerata Bern, conducted with feeling and exacting attention to detail by Erich Hobarth, who also plays the violin solo part in the Double Concerto for Violin and Oboe. In addition to the work just mentioned the ensemble takes on a number of the sinfonia introductions that feature the oboe in various cantatas, the sinfonia from the Easter Oratorio and three Bach concertos reconstructed to feature the oboe as the principal soloist. Marcello's Oboe Concerto in D minor, a work Bach apparently admired, rounds out the program. These are performances that linger over the musical elements with loving care. Holliger's sweetly lyrical approach is complemented by an almost langorous pouring outward in the strings and continuo. This is Bach with less brio and more of a loving familiarity, as one would read a favorite old story out loud to an intimate circle of friends. 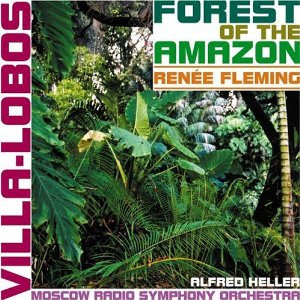 It is most certainly not surpassed by any similar recording I've heard over the years. Holliger's long tenure in the limelight has given him a mature profundity that echoes sympathetically in his accompaniment. In every way this is a most satisfying performance, an instrumental centerpiece to anyone's Bach collection. With the 10th anniversary just days away we all no doubt will have moments where we pause and reflect, mourn, voluntarily or involuntarily relive the anguish and sorrow we felt in those terrible times. There are many scores of commemorative rituals that will be enacted. But to me it is music that can best express the inexpressible complexities. There are no doubt many musical meditations in the works. On Saturday the Union United Methodist Church in Boston will present a program by the excellent avant jazz outfit Trio X. 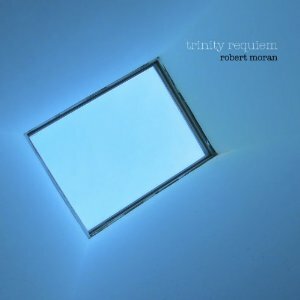 And tomorrow, on the 7th, THE 9-11 church, the Trinity Wall Street church will be host to the world premier performance of Robert Moran's Trinity Requiem, a work which they commissioned. Those who cannot be there will be happy that a recording of Robert Moran's work has just been released (Innova 244), with Robert Ridgell conducting the Trinity Youth Chorus and members of the Trinity Choir, accompanied by harp, organ, strings and hand bells. It is a moving, touchingly profound work that more or less starts with the sort of lyric luminosity and melodic strength of Faure's Requiem and builds on that legacy. Robert Moran has done some composing in the minimalist camp and he puts the ambient enveloped-sound you sometimes get in that style towards a more linear approach. The haunting timbral passion of the Trinity Youth Chorus carries us away from our worldly concerns and into a space where we can experience something akin to healing. 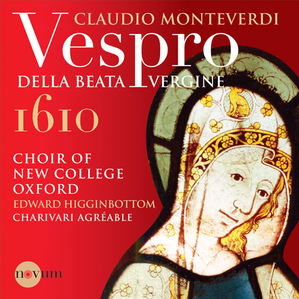 The instrumental accompaniment supports the choral vocal lines with a fitting memento mori reflectiveness. It is music that stands on its own as no doubt one of the great requiems of or era. Perhaps a little silence (a moment) might be the right thing to conclude.